With hindsight, I found that that 2010 edition of BIF was better curated and had a more consistent level of high quality of speakers or “story tellers” as they are called at BIF. Whereas 2010 was great, 2012 was good. This year, I was missing that consistency in quality. But there was clearly a theme emerging from the different talks. Initially it was a bit blurry for me what the theme was: companies are communities, creators of serendipity, human community movements, platforms for movements,… ? In any case, it was clear that something deep is changing about what a company is all about. It made me think about the 1997 (yes, 1997!) book “The Living Company: Growth, Learning and Longevity in Business” by Arie De Geus (Amazon Affiliate Link). Most decision makers in our organizations have and still are trained in the model of the organization as a money making machine. Because this model almost completely ignores the fact that organizations are made out of people, human beings of flesh and blood and emotions and not “human resources” that you can just move around on the check board like physical resources, this has created in many companies an almost toxic environment with little room for happiness. In addition, most of our marketing and strategy managers have been trained in fundamentals like the 4 P’s, the 5 C’s, etc by management gurus like Drucker and Kottler. Andrew Stein recently posted a blog in defense of Kottler and Drucker, in essence claiming that the marketing fundamentals have not changed. I tend to disagree, and here is why. 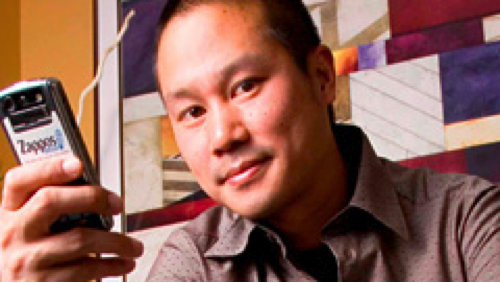 I was really blown away by Tony Hsieh, CEO of Zappos (Shoes) acquired last year by Amazon. Instead of venturing in yet another megalomaniac luxury campus with everything on-site from shops, restaurants, doctors, and central central incubator garages, he decided to become deep integral part of the city fabric and to create collisions and serendipities. He is investing about 350 million USD in local start-ups, local small businesses, education, arts, culture, and residential & real estate. The sort of movements to change the world. I reached out to one of the books in my library; very recent one about change management. Or should I say transformation management? It’s all about being part of the system you are trying to change. But change or incremental innovation is not good enough anymore in this fast moving world. The keyword is “transformation”: bringing into a new state where there is no option back, a risk to fall back into the old toxic habits. It is about a humanization of our organizations; a transformation at deep people level. 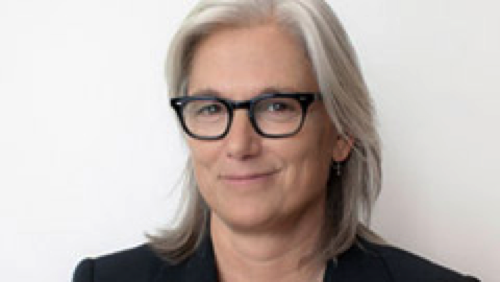 This is where my other #BIF8 hero comes in: Susan Shuman @susansyp, CEO of SY Partners. She did not talk about the executives and the middle managers. the people who actually do the work in companies. Some participants to the conference found she was too much in pitching mode, pitching her company. That may be true, but the story of what her company does is a very strong one. 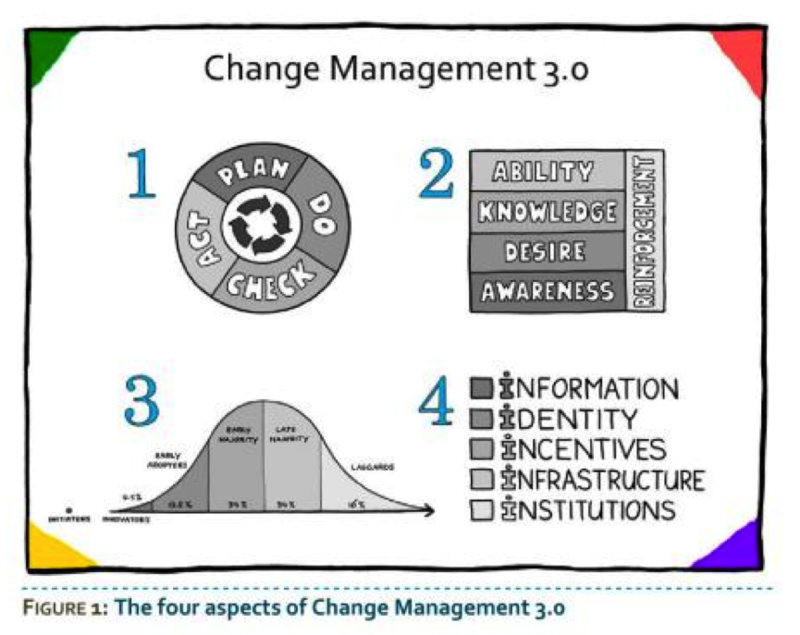 It’s about transformation management (not “change” management). It’s about a new way for creating strategy, grounded in complexity thinking and opening the options versus closing them, seeing through the lens of possibility not the lens of constraints, making visible and enabling options for collaboration. The sort of collaboration and learning experiences that enable greatness, viral change from the top and from deep in the company fabric. It enables a modern way to look at strategy, an emergent strategy, where we not only look at short term revenue streams, but also for new capabilities and strengths. A different way of content curation, facilitation and design, leading to new collisions of expertise, and long lasting transformations. The sort of collaboration that exists in great team where “duo’s” or “triads” of highly complementary people create greatness. Teams don’t just happen. That’s also why moving around “human resources” from one team to another does not move around the greatness with it. It’s about a new set of tools to let teams perform at their very best, a network of individuals dedicated to each other’s success, a tribe of humans that envision, believe in, and fight for greatness. It’s about a new practice for value creation. Innotribe enables those movements and transformations. 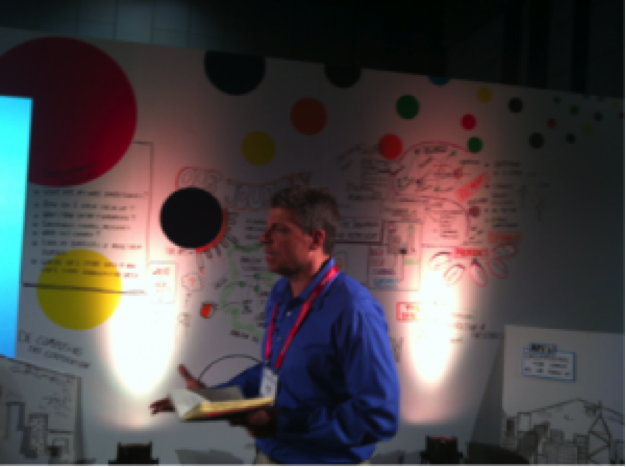 I blogged about the overall Innotribe Program at Sibos here. That post is kept up-to-date with the latest announcements and program changes. The Innotribe program is also available here on the Sibos website. This blog post shares some more details about the Hyper-Economies session. The session Hyper-Economies will take place on Tuesday 30 Oct 2012 from 12:30 till 14:30 in the Innotribe Space (the special tent in the middle of the conference centre). We live in a hyper-connected world. The speed of change is increasing exponentially. Information has become abundant, versus scarce in the past, and change is happening in real-time. new economies based on hyper-connected organizations, exposure of core competence through APIs, horizontal sourcing versus vertical integration, Peer-To-Peer (P2P) sharing of data and Open Source developments, that lead to a new practice for value creation. We have brought together an eclectic set of igniters (our name for “speakers”) to have a healthy interactive debate on the challenges and opportunities these changes represent for our financial industry. Mark Pesce is Founder of Future Street Consulting, based in Sydney. He is currently publishing a book on the topic, titled “The Next Billion Seconds”. Mark was already with during the Innotribe Bangkok event in April of this year. The topics that Mark addresses are very relevant to the evolution towards Banks-as-a-Platform and the Cambrian Explosion of Everything. Michel Bauwens is in my opinion the absolute “guru” for the P2P Economy, the thinking behind the Commons and the role of Open Source in software and other collaborative approaches. He is the founder of the Peer-to-Peer Foundation and works in collaboration with a global group of researchers in the exploration of peer production, governance, and property. Michel currently lives in Chiang Mai, Thailand, has taught at Payap University and Dhurakij Pandit University’s International College. He is a founding member of the Commons Strategies Group. Allevo’s presence at Sibos will be under the signs of Innovation and Open Source. Their project FinTP gravitates around the bold idea of developing an open source application for financial transactions processing and a creative community around it. FinTP is an open distributed application for processing financial transactions and it is based on the 7 years practice proven solution Allevo has successfully deployed at its customers. Covering the entire life cycle of financial transactions, FinTP intends to create a widespread financial transactions processing platform, an alternative for an industry common solution. The hope is this will evolve into a new standardization layer – a single financial dialect comprehensible for any party involved from individuals, SMSs, to corporates and financial institutions. We believe this represents in fact the acceptance of the commoditization of the payments processing arena. The format from this session will be a facilitated conversation. Like in Bangkok, we will help the audience identifying friction points in their value chains, and assess how the concepts of the Hyper-Economies, P2P and Collaborative Economy, and Open Source can give rise to a rich eco-system of parties building added value on top of Open Source platforms in financial services. This session is a meta-story for the session “Future of Organizations”, that follows right after this Hyper-Economies session. 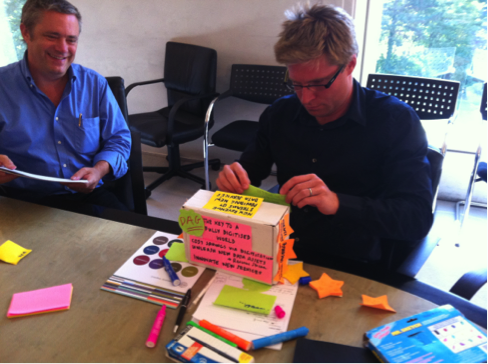 By @petervan of the Innotribe Team. I am just coming out of 3 fantastic and super-intense days with the team that is working on the prototype for the Digital Asset Grid (DAG). The DAG is a SWIFT Innotribe’s incubation project; we are really in research mode. Acting as a catalyzer, putting a big bold vision on the radar-screen of our community. Our plan is to show the results of our work during the upcoming Sibos in Osaka. Our session is planned on 31 October 2012 at 4pm in Conference Room 3. And then there was Marc Hochstein’s (@MarcHochstein) excellent coverage in American Banker titled “SWIFT Reimagines Banks’ Role for a Data-Driven Future”. It’s really a great article and there is an excellent video coming with it where Marc positions the DAG as it should be positioned: a unique opportunity for banks to offer a whole new series of Data-Driven applications. So it looks like the huge opportunity is in the apps. True, but there is more. But last but not least, we created a platform of intensity where ideas could flow freely, leading to the most formidable insights. One of those insights came during the playful key-messages-exercise, where we nailed down our key concepts by imagining what would be printed on the imaginary “product box” of the Digital Asset Grid (thanks to Martine Deweirdt of the Innotribe team to facilitate this exercise). It was the moment where the word “platform” was deeply debated. Is “platform” like Windows (or for the sake of the argument any PC-era operating system), or did we mean something else? The owner of the platform really owns 90% of the market. Not only the OS market but also the ecosystem of applications and application developers that create a business on top of the platform. The platform that is most loved by developers and that gives most value for the business decision makers/owners of the application companies ultimately wins. But we have evolved quite a bit since the early PC days. In the PC-era, we had really one dominant Operating System. But it was a siloed OS. More or less same happens with clouds. They become more and more proprietary. iCloud, DropBox, G-Drive, Skydrive, etc All living in their own silo. All these examples are very consumer oriented, but usually B2B follows the slipstream of retail customer, and it can be expected the same happens with B2B cloud offerings. 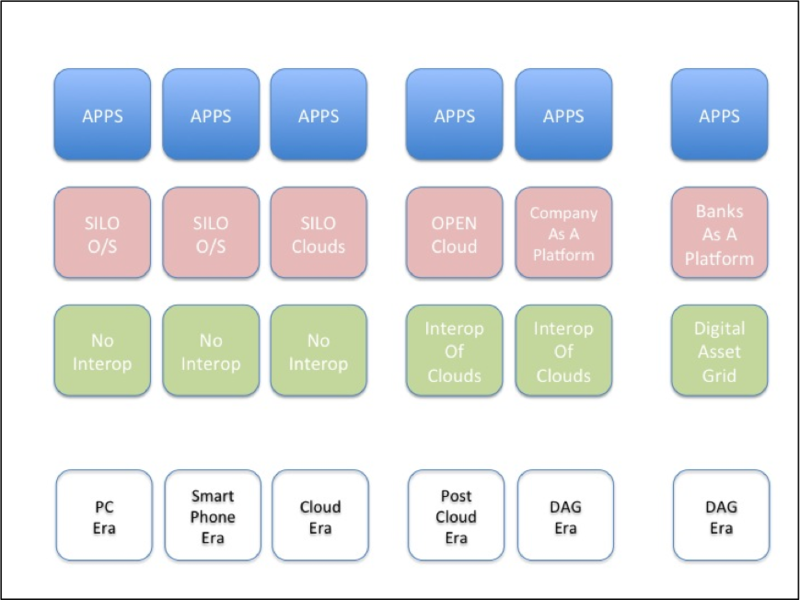 What has to come next in this evolution is an interoperability of clouds, a layer of almost Kernel level services, protocols and standards that let the Cambrian Explosion of Everything share data in real time, securely and with the appropriate governance and trust per interest-domain. This is what the infrastructure-layer of the DAG is trying to address. We base ourselves on open standards XDI/XRI which are going through their approval process at OASIS. 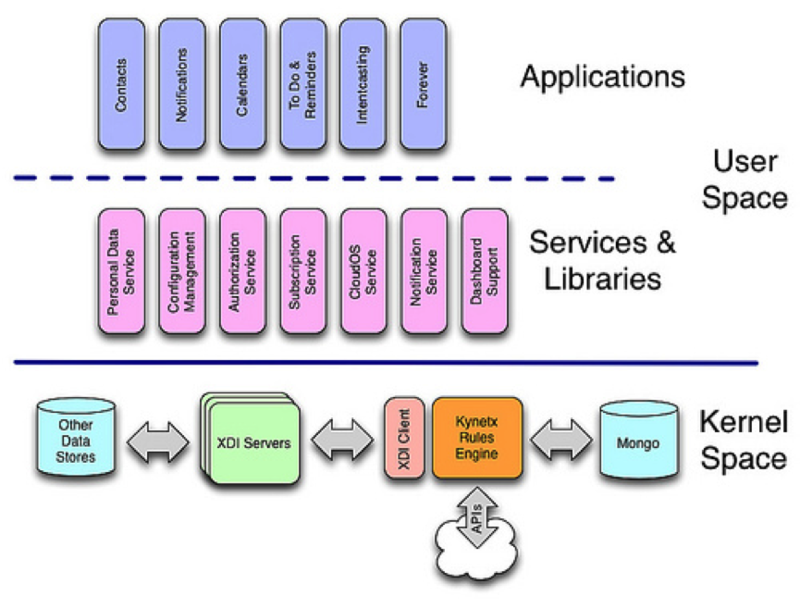 So far, we are thinking about companies (banks) hosting apps that run on top of this Customer Cloud Operating System. I use the more generic term “customer” in stead of “personal” Cloud Operation System, as the “customer” can be both the person, a corporate, or even a device or program. But that’s “only” the temptation. on which others can build apps and create value. Like Amazon (not the bookshop but Amazon Web Services). To make yourself so indispensable as a platform, that even your competitors start building on top of your company platform. Sean Park (@parkparadigm) from Anthemis was probably the first who mentioned the idea of Bank as a Platform with a nice prezi presentation http://www.parkparadigm.com/2009/10/29/platforms-markets-and-bytes/ in september 2009. Anyway, “Bank(s) as a Platform” is what the DAG really enables. A new interoperability layer for people-, business- and device-clouds, creating a value and reputation system leveraging the existing KYC and digital slipstream information of customers with full respect of privacy and empowerment. The real question is whether banks will see and grab this enormous opportunity, or whether they will satisfy themselves with copycats of outworn 20th century business models, and narrow down a great vision into adjacent banality. “There is nothing in a caterpillar that tells you its going to be a butterfly”. The opportunity for banks is indeed to position themselves as data-platforms for value creation by a formidable ecosystem of third parties, so that every customer – from the Bottom of the Pyramid to the Top of the Pyramid and every customer in between – appreciates their bank as their own private wealth manager. This sort of wealth is enabling empowered customers with agency. The origin of the word “bank” was “bench”, a place where two people meet and create a relationship. The deep meaning behind the DAG beyond its technical innovation is that it creates Relationship-as-a-Service (a term coined and trademarked by Respect Network). The realisation of this Relationship Economy will change the love/hate relationship with banks: instead of being criticised for their past behavior, they can be loved like the Googles, Amazons, and other great platform companies of this era. Since my initial post “Corporate Rebels United – the start of a corporate spring?” of 17 March 2012, and the subsequent “A New Global Practice for Value Creation”, the core team has been working on fine-tuning our mission. I am very grateful to the whole team for getting us where we are today, and especially for initial instigators Laura Merling and Mike Maney, and our advisors/mentors Nilofer Merchant, John Hagel, Mark Bonchek, and Dave Gray. A special word of thanks to Dave Gray (author of the just released “The Connected Company”), who inspired us with his concept of “Pods”: independent self-organizing cells who act autonomously but in context of shared platform of common, core, connected principles. Dave was also the person who landed the first version of this manifesto, based on previous culture-hacking work by the core group. Mathias Vestergaard is the first Corporate Rebel from the core group starting the a Corporate Rebels Pod in New-York City. Who’s next? Some of us will be present at the CultureCon2012 (co-organized by fellow rebel Dan Mezick and author of “The Culture Game”) and at BIF-8, the fantastic story tellers event by Saul Kaplan and team. Let’s continue the conversation there or online. Our companies no longer serve our needs. They cannot keep pace with a high-velocity, hyper-connected world. They no longer can do what we need them to do. Change is required. We love our companies and want them to succeed. We want to reboot our corporate and organizational culture to install a 21st century, digitally native version, to accelerate positive viral change from deep within the fabric of our organizations, and to reclaim our passion for work. What is Corporate Rebels United? We are building a global network of change catalysts that act from deep personal awareness and presence, and an irresistible enthusiasm. Our actions will lead to new product and services and new global practices for value creation, agility and velocity. We are architects and scouts into the future, and we want to guide our organizations in navigating a safe path from now to then. We are holding a space. We are making and holding a space where everybody can have a voice in service of value creation. The DNA of our movement is a platform of core principles that are the basis for us to connect, to practice, to embrace, and to inspire other to dream and make our dreams come true. When we have a community of 10,000 pods worldwide, with a good distribution across industries and regions. When we feel whole at work. When the DNA is established, when the pods start to divide, enabled by the lightweight space we are holding. Holding a space is a about context; the job is done when the space is holding itself, when people start saying: “I suddenly feel free to be awesome.” When our practice gets the same attention in annual reports as efficiency practices such as Lean and SixSigma. Help us articulate the principles. We are now defining the DNA: A platform of common principles that define who we are and what we stand for. We could use your help. Principle-1: We love our companies and want them to succeed in this high-velocity, hyper-connected world. Principle-9: We are not just talkers, but doers. Principle-14: and we want to guide our organizations in navigating a safe path from now to then. Principle-15: We are very well intentioned individuals. Principle-16: We are united people with shared purpose, starting with our own being. Principle-17: We maintain integrity and relevance..
Principle-19: Our core values are integrity, clarity of reason, brightness and great positive energy. Start a pod. Organize yourself. Decide on your own activities, your own resources, and your own relationships. And link them back to the mothership, the DNA platform of common, core, connected principles. If this Manifesto speaks to you, we ask that you become a “signatory” by indicating your support in the comment section below. We’ll add you to the growing list of Corporate Rebels. And we’re in the process of creating an online holding space for our common principles and convictions. Stay tuned.